Traitors and Loyalists alike got a TON of new rules in this book. 8 Legions were re-introduced (4 Traitor, 4 Loyalists) and each one got a selection of rules to accompany them. We already got a look at some of them from GW but now we’ve got an even better idea of what each one does. Each Legion gets at least one new Legion Trait, Stratagem, a new Wargear option and a Personal Trait chart (typically 3 options). Some of the Legions get to double up on the different option by having two Legion Traits, or two Stratagems – but that’s not true in all cases. We knew that GW had planned on adding in more Legions based on the fact that the Color Plates in the core book did not match the legion rules available in the book. Why show us rules for one legion but the paint jobs for another? Sure, it could have been a mix-up…but we think it was probably intentional. Plus, we had another big clue with the Water Slide Transfer sheets that were in each kit which had transfer for other legions as well. The Book also has lots of new info for Campaign play and an entire section on the background for the Battle for Beta-Garmon – aka Titandeath. If you’re a lore junkie, you’re really going to like this book. Also included are 4 new Maniples to run for your Titans. We cover them in the video but they are a good mix of options and ways to configure your Titan Legion. Each has rules that help make them function differently and highlight a different strength. 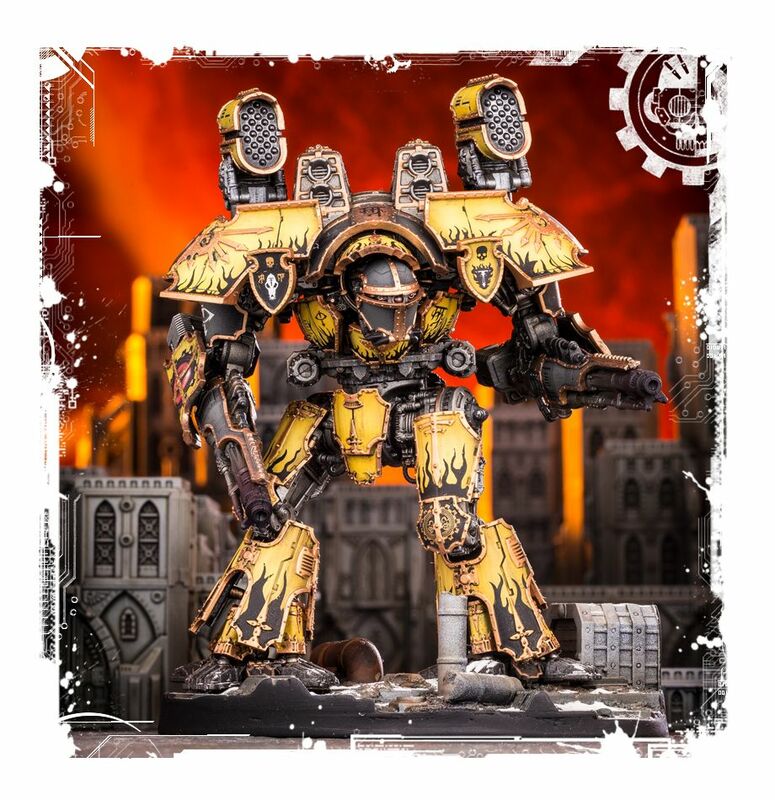 The Lupercal Maniple is going to be one tough cookie to crack and it’s “just” 3-5 Warhound Titans! 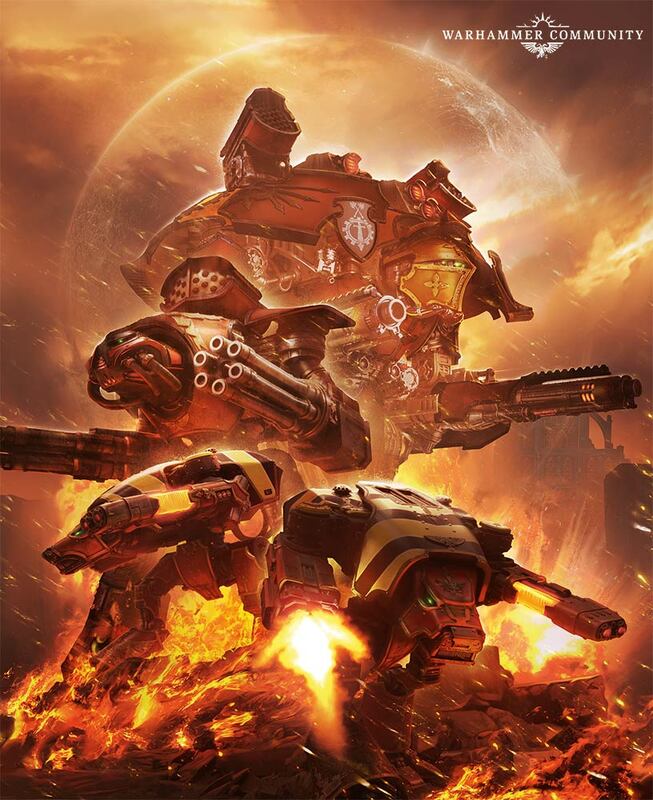 This book adds a lot to the game of Adeptus Titanicus and helps to give players more options so that each force doesn’t quite feel so similar. 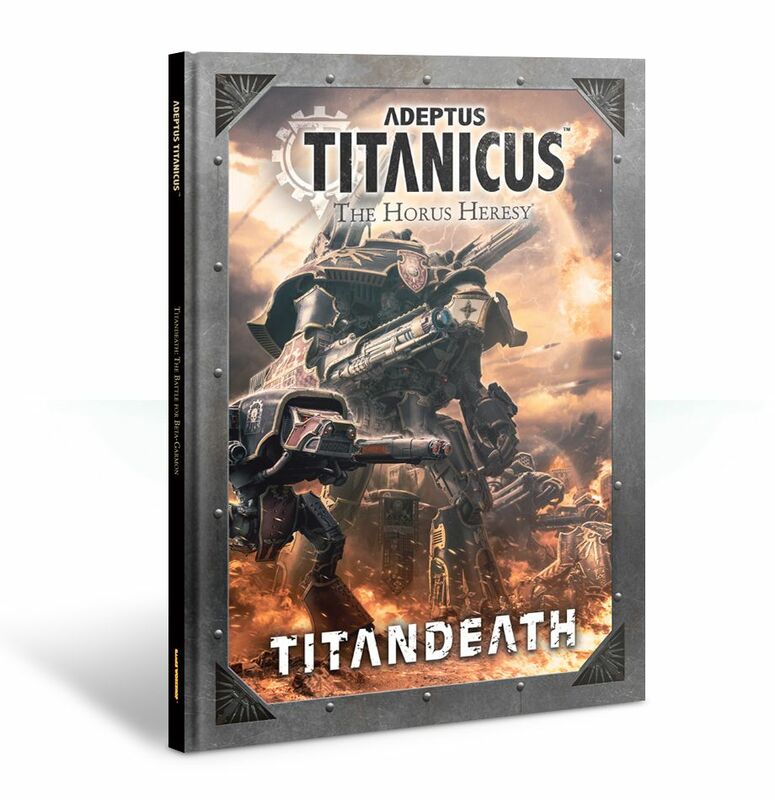 Now, players have the chance to diverge from the Core Book and explore different builds with the different Titans. That’s exciting stuff! I’m looking forward to diving in with both feet and pushing my Titan Legions to their Limit…as long as I don’t go too far and overheat! Titandeath is up for Pre-Order from GW today!